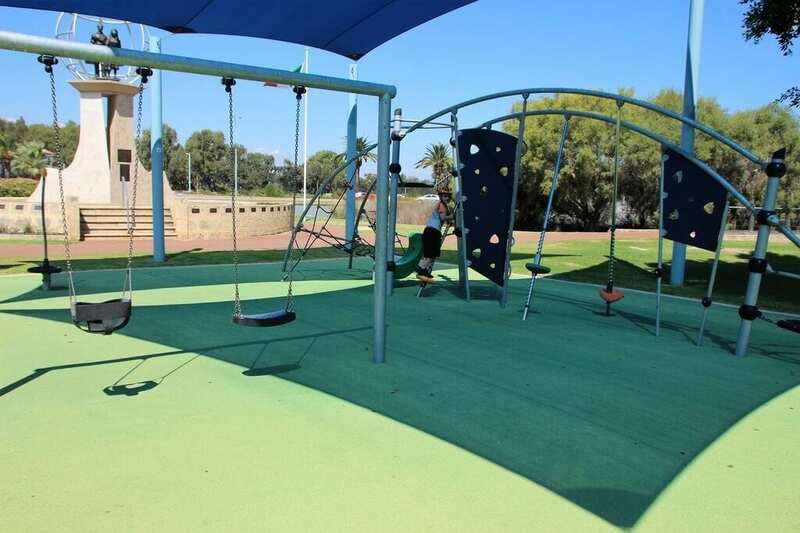 Lake Vasto Playground is a popular spot at Ozone Reserve in East Perth. A large gazebo makes it a top location for big family picnics and group gatherings if the weather is looking a bit iffy. 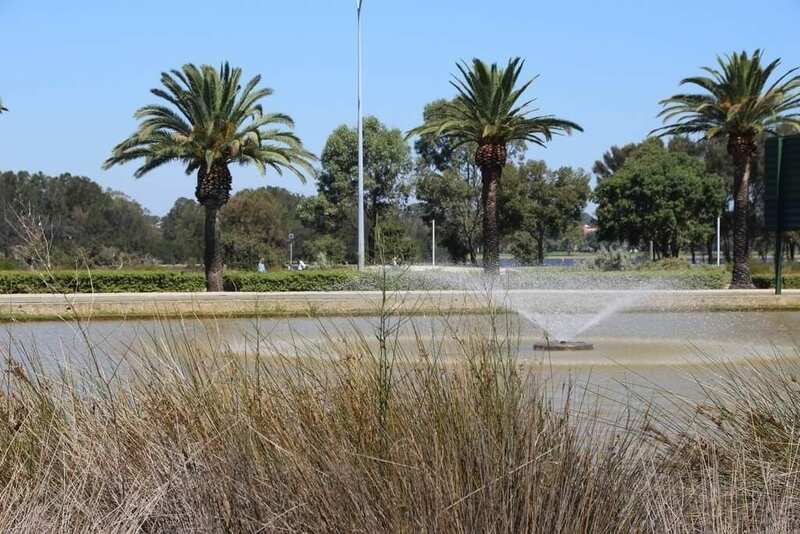 The reserve is close to the banks of the Swan River, over the road from the Point Fraser development. The playground is on a soft fall surfaces making it great for toddlers. 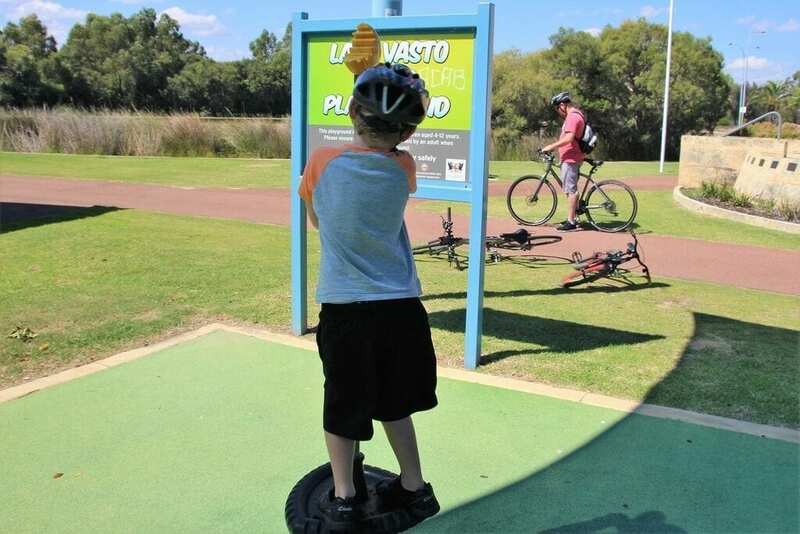 There’s something for kids of all ages, though with Lake Vasto being so close, be mindful of toddlers playing in the area. 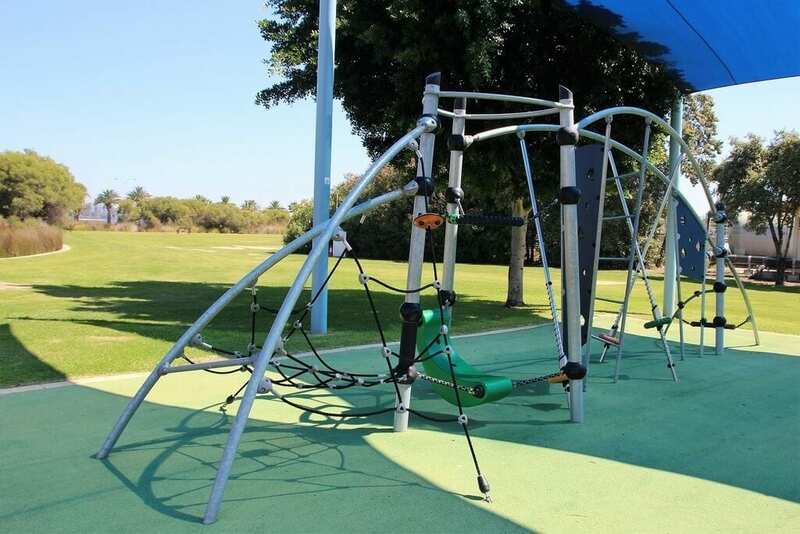 The main piece of equipment is a large metal climbing structure which has ropes and ladders and climbing walls to scramble all over. It’s great for older children. There are also two swings, a regular swing and a toddler swing too and a couple of other pieces of equipment to spin around on. A feature of the reserve is the ‘Monument to Migrants’. 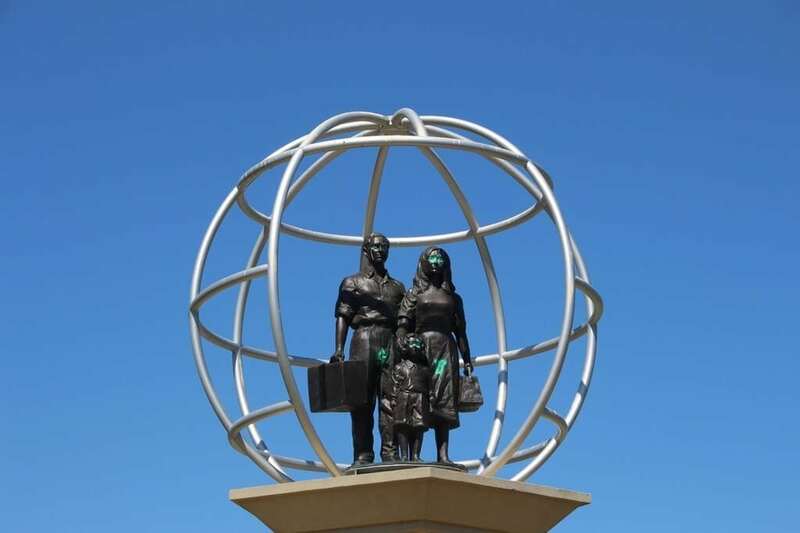 The eight-metre high stone and bronze statue commemorates all migrants that have come to Australia from all over the world. There’s a lot of open space in the park. 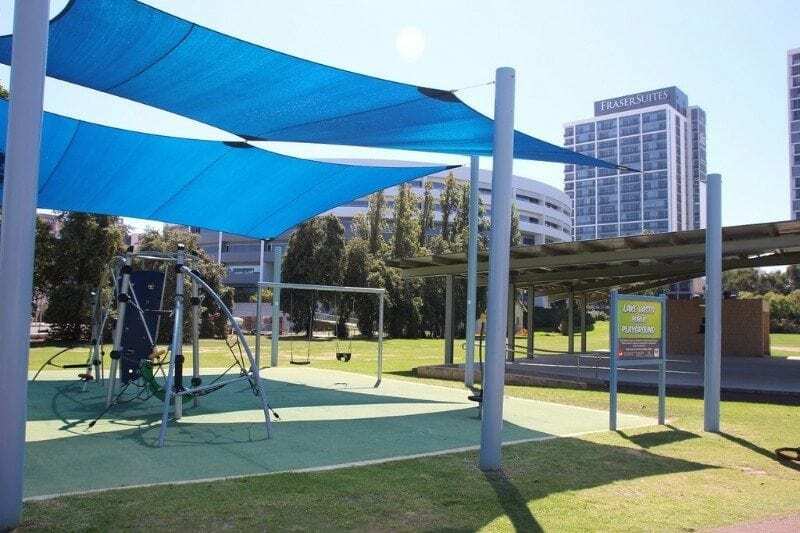 The large grassy areas, towards the WACA are perfect for ball games and mature trees provide plenty of natural shade to throw down a picnic rug. There are sails directly shading the play equipment. There is a very large covered area and BBQ facilities. 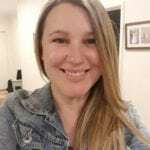 The nearest public toilet is at Point Fraser. 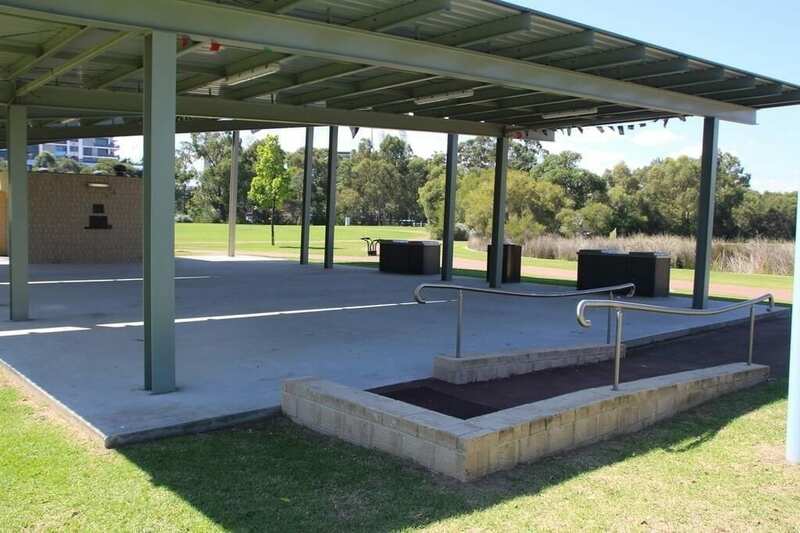 With its location on the Swan River, it’s a good spot to stop at on a walk or cycle along the river’s paths. 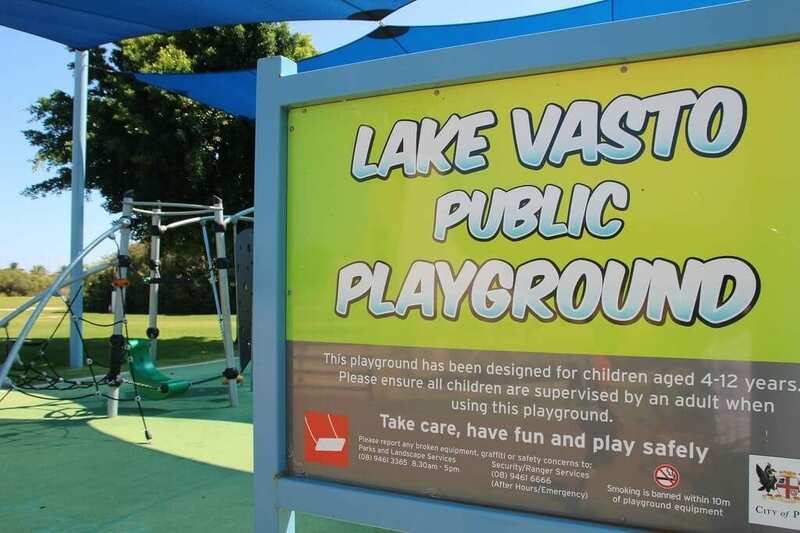 Find Lake Vasto Playground at Ozone Reserve at the east end of River Side Drive, East Perth.